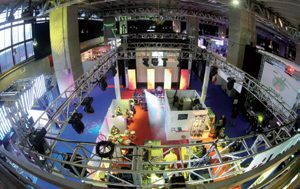 AFIAL consolidates its initiative to hold an event that brings together the most representative companies in the sector of Professional Audio and Spectacular Lighting, expanding the framework of sectors including audiovisual integration. A proof of the success of the AFIAL calls has been the increase in the exhibition areas and the number of exhibitors. This, together with the increase in the number of visitors and requests to participate in the AFIAL CONVENTION, has been the confirmation that a call of these characteristics offers the necessary coverage to the professionals of the sector. 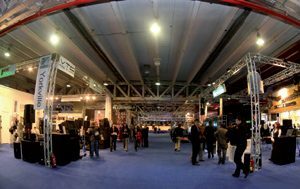 From here we want to invite all companies and professionals in the sector of Professional Sound, Spectacular Lighting and Audiovisual Integration to participate. 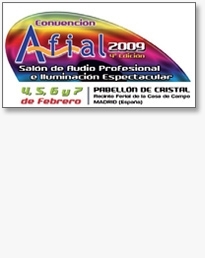 The Afial Convention provides as an added value being the only national fair with live audio demonstrations. Manufacturers and distributors have the opportunity to show their equipment in real conditions of use, in the outdoor area enabled for this purpose in the back of the Palace. 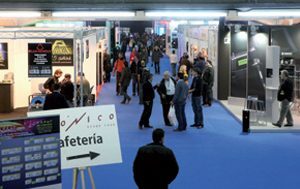 The fourth edition of the Afial Convention was held at the Palacio de Cristal of the Casa de Campo in Madrid on February 4th, 5th, 6th and 7th, 2009.